Did you miss one of our past webinars? You're in luck, all webinars are recorded, and are available here! All Webinars are $30 for LTAC members, and $50 for non-members and have 1 hour of CE credit. Live showing/Taped 12/12/2018 | Discussion of differences between mobile, manufactured, and modular homes as well as the process of "purging" title. Live showing/Taped 11/07/2018 | Did you know that the Denver Affordable Housing Program has created approximately 1400 affordable for-sale homes? This program, administered by the Denver Office of Economic Development, offers affordable housing opportunities to low/moderate income households. Live showing/Taped 5/09/2018 | Come and Refresh your memory on the 1031 rules with Julie Baird of First American Exchange Company. We'll do a review of the basics and then discuss tips for planning, closing and traps for the unwary. Julie will also cover reverse and improvement exchanges and why these can be a great tool in this market, and we'll review Tax Cuts and Jobs Act and trends we are seeing in the real estate market. Live showing/Taped 2/14/2018 | Please come listen to Ralph A. Gagliardi, CFE from the Colorado Bureau of Investigation. He is the Agent in Charge, ID Theft & Fraud / Cyber Crime Unit here in Colorado. He will cover wirefraud, ransomware, and what to do if it happens to you. 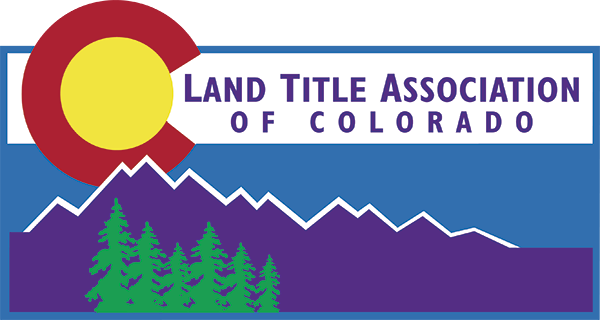 Live showing taped 3/14/2018.| Land titles in Denver’s early days were anything but a sure bet. Deeds to downtown lots were often used as poker chips in card games. Deeds were issued by companies that had no actual title to give, yet people paid money for them anyway. When the federal government finally issued a town site patent to nearly 1000 acres in the heart of downtown Denver, the local probate judges then handed out individual deeds. Many of those transfers were called into question, especially those issued by one particularly notorious probate judge who was also a war hero and potentially a war criminal. No, titles today just aren’t what they used to be. Fortunately! Live showing taped 4/19/2018 | In this 1-hour class, you will learn from a real estate attorney how an HOA super priority lien may affect your real estate transaction. Topics covered will include: Discussion of an HOA’s perpetual statutory lien for assessments and how such lien attaches to the real property. Discussion regarding the priority and effect of an HOA Super Priority Lien; Discussion of what the HOA Super Priority Lien may be comprised of under Colorado law; Review how to calculate an HOA Super Priority Lien amount; Discussion regarding impact of failure to satisfy an HOA Super Priority Lien. Instructor: Britney Beall-Eder, Esq., Frascona, Joiner, Goodman and Greenstein, P.C. Live Showing/ Taped 05/16/17 | This class will discuss the four parts to a commitment, what are requirements vs. exceptions, and what red flags to look out for.